This ground-breaking book offers hope and help to those who have been drawn into these devastating relationships. She includes illuminating case studies that identify the problems that occur in the different types of relationships, from co-workers, to friends, to parents, to lovers. Listeners employing these insights and skills will find new abilities to identify and protect against the narcissist's manipulations and take back control of their lives. 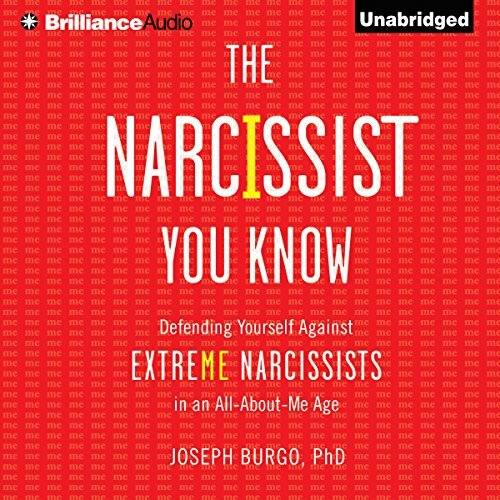 In the tradition of The Sociopath Next Door, clinical psychologist Joseph Burgo's The Narcissist You Know is a guide to help you identify, disarm, and coexist with extreme narcissists. In today's social media and selfie-obsessed culture, we are living in an age of narcissism - and a society that often celebrates this potentially harmful trait rather than understanding it as a psychological disorder. Scientists are beginning to learn that narcissism exists on a spectrum - much like autism - and most of us exhibit some mild narcissistic tendencies. But one in 20 people falls into a category the author refers to as extreme narcissism, in which these self-absorbed characteristics result in destructive behavior that harms not only the individual but everyone around them, including friends, family, and coworkers. 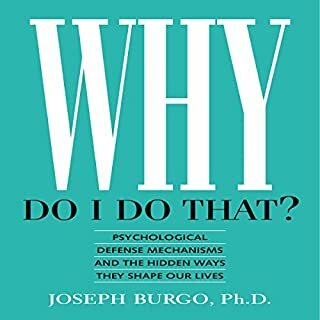 With more than 30 years of experience studying personality disorders and treating extreme narcissists, Dr. Joseph Burgo has developed a useful guidebook to help you identify, understand, and manage narcissistic personalities. 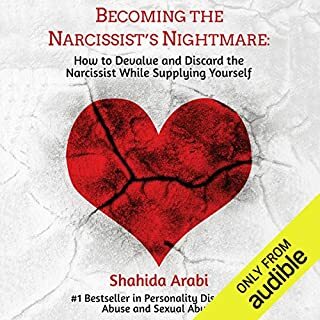 Relying on detailed profiles, vignettes from the author's practice, and celebrity biographies, The Narcissist You Know offers easy-to-understand tools and solutions you can use to defuse hostile situations and survive assaults on your self-esteem should you ever find yourself in an extreme narcissist's orbit. Don't let narcissism destroy your relationships. Get the tools you need to understand, work with, and live with the narcissist you know. ©2015 Joseph Burgo (P)2015 Brilliance Audio, all rights reserved. Recorded by arrangement with Touchstone, a division of Simon & Schuster, Inc.
if you are thinking about looking into narcissism and understanding it for yourself and those around you don't even think twice get this book it will change your life. 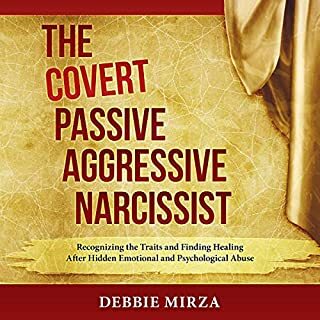 understanding narcissism in your life is so amazing and powerful if you come or think you come from a narcissistic family and this book makes it so easy to understand. if you are reading this comment don't even think twice get the book and listen to it I promise you will not regret it. and then after you read this book and realize the power that Sam has had in your life I highly recommend a book called the power of vulnerability. good luck, the fact that you are here gives me great hope for your future. I've read many books on Narcissism. Thus is one of the best. Narrator is awesome! Where does The Narcissist You Know rank among all the audiobooks you’ve listened to so far? What other book might you compare The Narcissist You Know to and why? 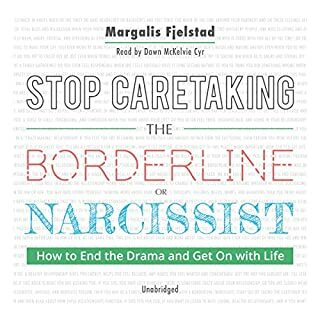 Stop Caretaking the Borderline or Narcissist. More about psychology science than lay person approach. Which character – as performed by Christopher Lane – was your favorite? Joe Jackson beating Michael was horrifying. The narrator sounds uncannily like Kelsey Grammar, like getting advice from Frazier Crane. 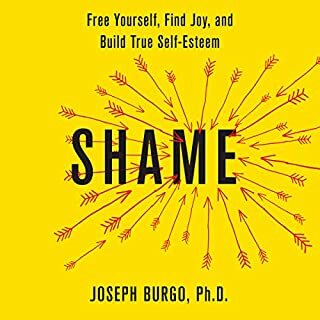 The author expounds that shame is at the root of various forms of Narcissism. He uses many celebrity bio's in his analysis and examples. I like that the scholarly approach goes beyond couples, including work and family dynamics. This book is a collection of anecdotes about different types of narcissists--regular people and celebrities included. It's interesting, but not particularly useful. The only real information about what to do if you encounter one is "don't interact with them". More entertainment value than analysis or advice. I expected this to be an OK book. I was so surprised when it turned out to be excellent! It was insightful on so many levels. I even wrote down a few of the gems that really stuck out. Educated, informed, rational, and helpful. This is not the first psychology book I've read & it's not even the first book dedicated to narcissistic/sociopathic personality disorder (N.P.D.) however, unlike most others on this subject this book was actually written by a PhD in behavioral psychology. A well educated, well spoken (written), informed teacher with the goal to reach, teach & help others. This book does spend a lot of time on examples but that is the only criticism I have! Be careful, many writers consider themselves qualified authority because they themselves are narcissist or have been injured by a narcissistic relationship. If you have questions regarding or want to know about N.P.D. this is a great book for you. There are clear, easy to understand and practical guides for identifying and responding to NPD that promote awareness, health, & personal growth. What did you love best about The Narcissist You Know? This book gives a multitude of real examples from the authors experience. The author reviewed the psycho dynamic history of each example, which helps with empathy for the narcissist. The book contains pointers on how to deal with extreme narcissists. Christopher Lane's performance brought the author's words to life and was very expressive. Yes, the childhood environment of Micheal Jackson nearly brought me to tears. This book was very helpful to me. I resigned from work I passonately loved in December, 2015 because my relationship with my supervisor had progressively turned ugly. The book gave me a clearer understanding of my supervisor's extreme narcissism, as well as my own narcissistic tendencies. This added clarity is helping me to psychologically move on from the awful experience of dealing with an extremely narcissistic boss for close to 14 years. I really liked this book a lot. It gave great examples of famous people who have narcissistic traits. Additionally, it explained the root causes of the behavior which I found extremely helpful. By understanding what causes the behavior (extreme shame, feelings of being inadequate or defective often stemming from childhood) it is easier to figure out how to better interact with people like this. I have been struggling for a while with the best way to deal with my son's father and now I have a better idea of how I need to approach him in our interactions. I did however find this information personally hard to hear. As an empathy myself, it saddens me that there are people out there in the world that are in such pain that they feel they need to constantly prove to others that they are superior in order to make themselves feel good. They will never be able to experience the joy of being loved for who they really are because they are so afraid that who they are is not good enough. I started listening to this audiobook in the middle of big fight with my older sister. I was looking for a way to deal with her, I was angry at her and her toxic behaviour... 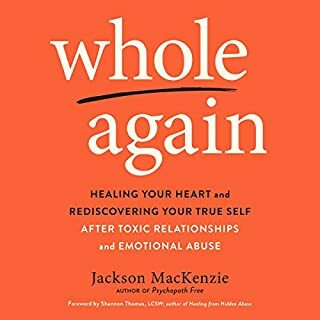 This audiobook changed my perspective and helped me understand that I was also the one fueling the negative cycles between us and I have some issues myself. As a result I'm able to empathise with her much more now. One of the most wise books ever. I wish this story did not have so much to about celebrities but more about how to deal with a diffacult person.